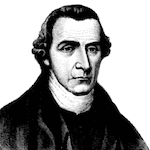 Patrick Henry was a prominent figure in the American Revolution, known and remembered primarily for his "Give me liberty or give me death" speech. Along with Samuel Adams and Thomas Paine, he was one of the most influential (and radical) advocates of the American Revolution and republicanism, especially in his denunciations of corruption in government officials and his defense of historic rights. A transcription of Patrick Henry's famous "Give me liberty or give me death!" speech made before the Virginia House of Burgesses. FCIT. "Patrick Henry author page." Lit2Go ETC. Web. 23 April 2019. <https://etc.usf.edu/lit2go/authors/125/patrick-henry/>. FCIT, "Patrick Henry author page." Accessed April 23, 2019. https://etc.usf.edu/lit2go/authors/125/patrick-henry/.